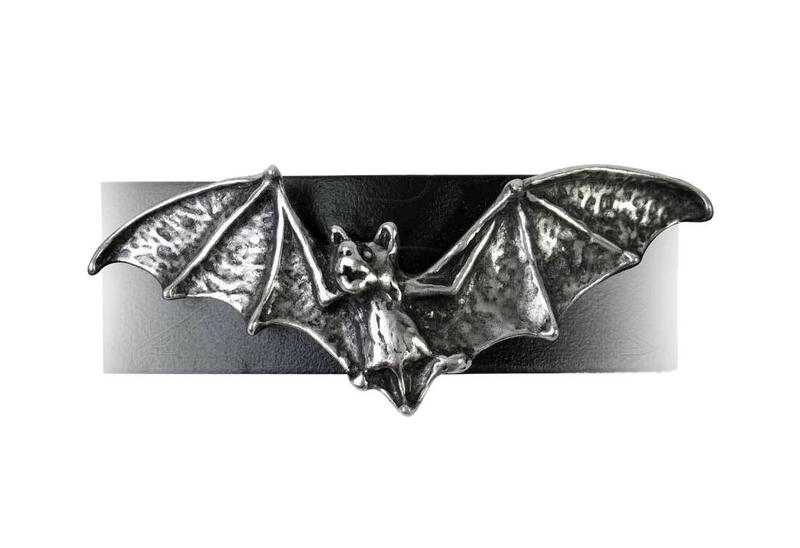 This bat is in full flight as if to take off your wrist. 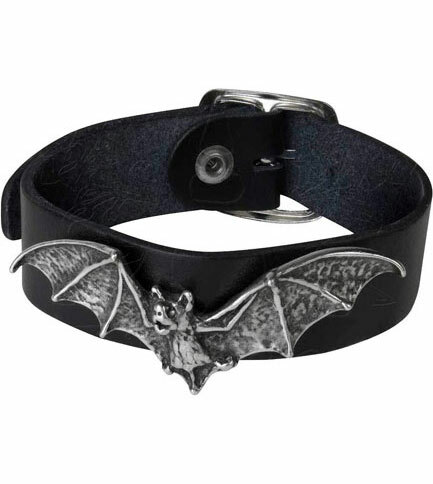 The bat is mounted on a black leather strap with an adjustable buckle. 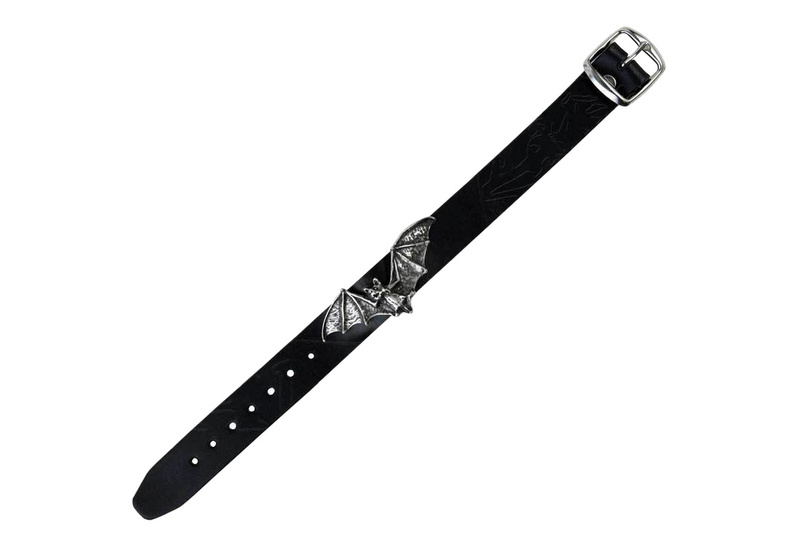 Made of fine English pewter with 100% leather, It measures approximately 2.3 inches wide by 0.8 inches high and 0.4 inches deep. By Gothic Alchemy. 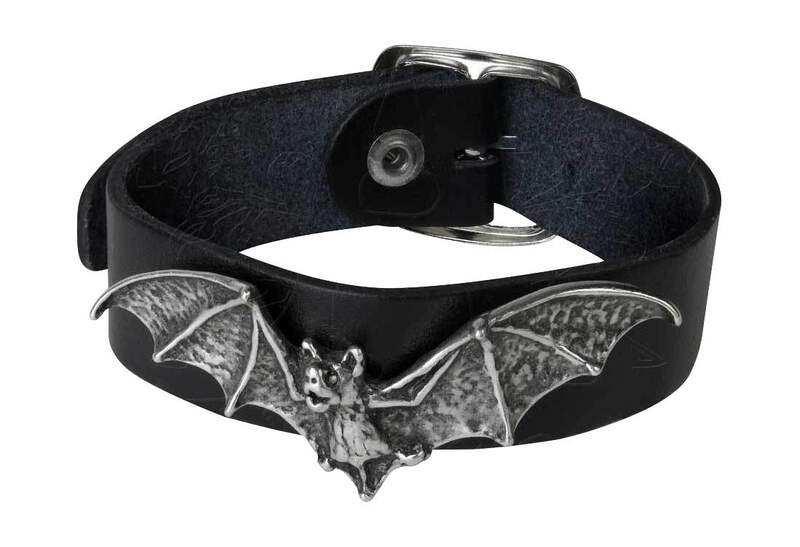 Who doesn't love bats?